A very stylish and cool owl hoodie, similar to our other concept. Owls in our opinion are the most beautiful type of bird. 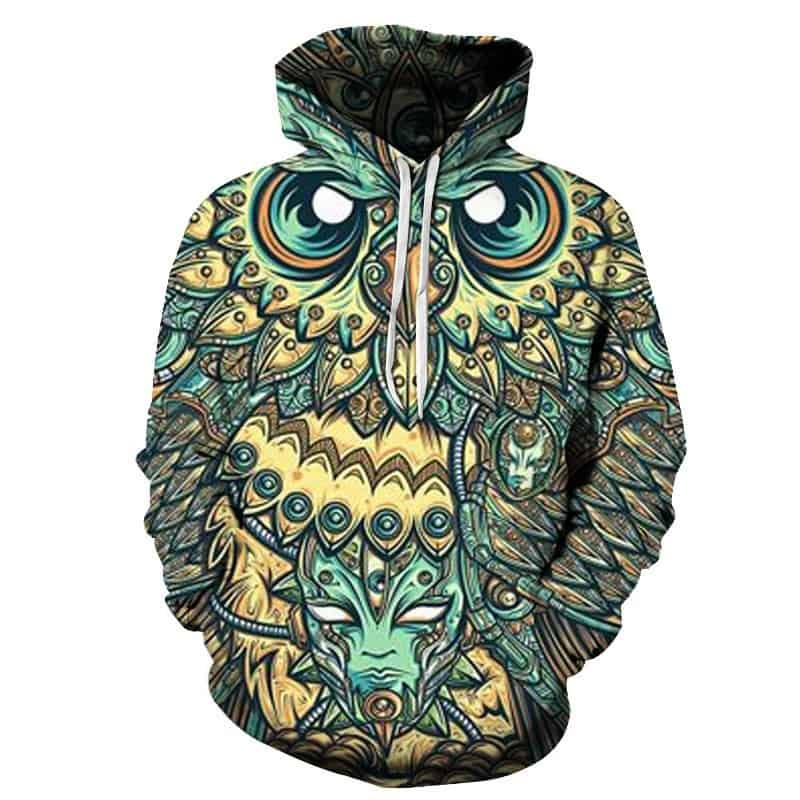 This hoodie features a mystic owl with blues and yellows being the primary colors. 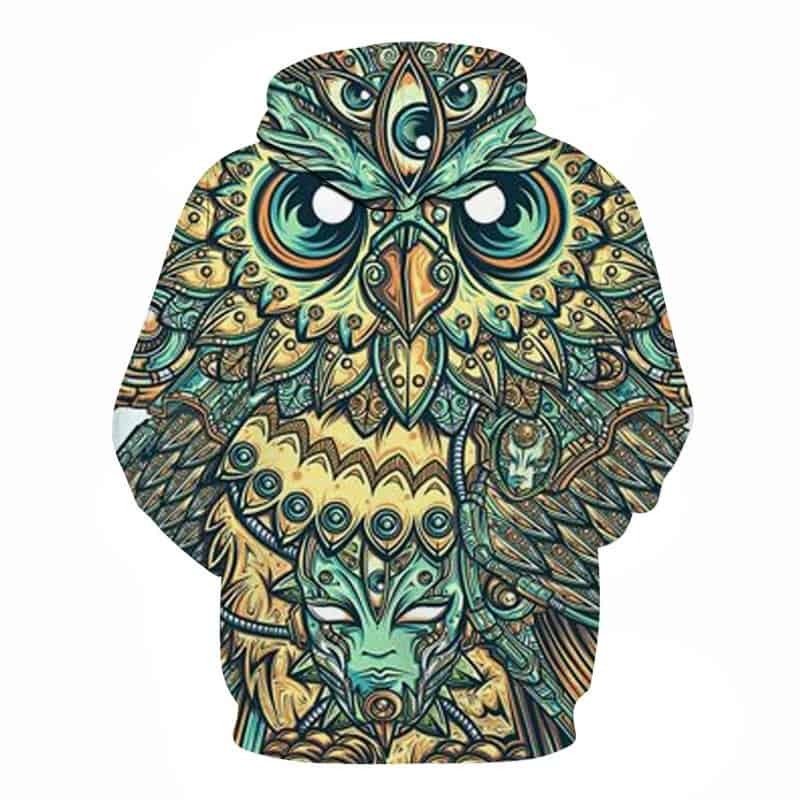 The owl eyes are located near the top of the hoodie and the body makes up the rest of the hoodie. The hoodie is comfortable to wear, looks fashionable and is wearable anywhere. It was designed for both male and female.